Cold evenings call for warm, comforting drinks. 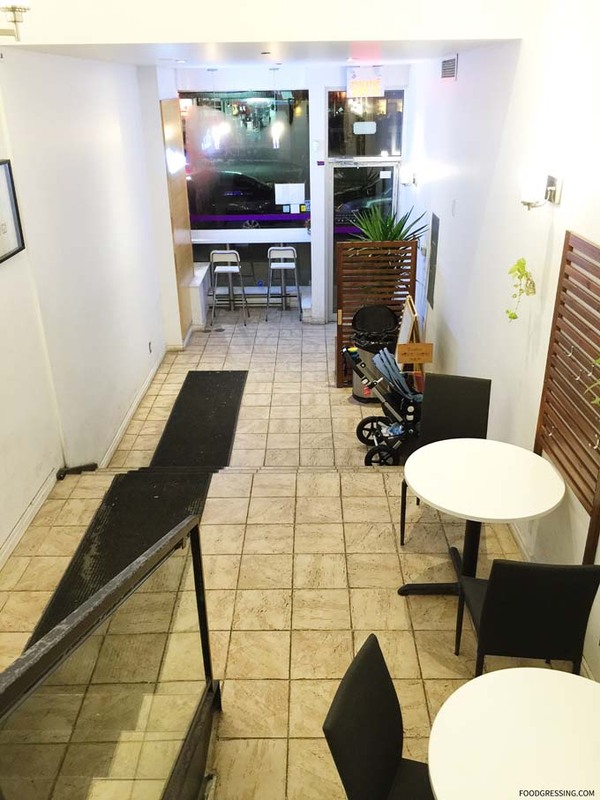 But when the bubble tea craving kicks in, it doesn’t really matter what the temperature is outside. 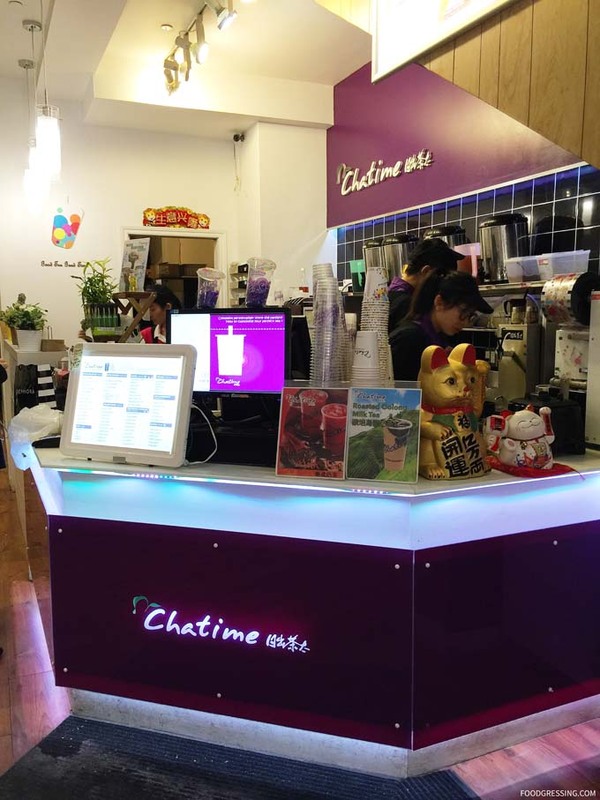 Such was the case for our visits to Chatime Montreal on Rue Sainte-Catherine Ouest last year. Dressed up in our warm winter gear, my family and I marched from our hotel to the closest Chatime in Montreal for a bubble tea fix. 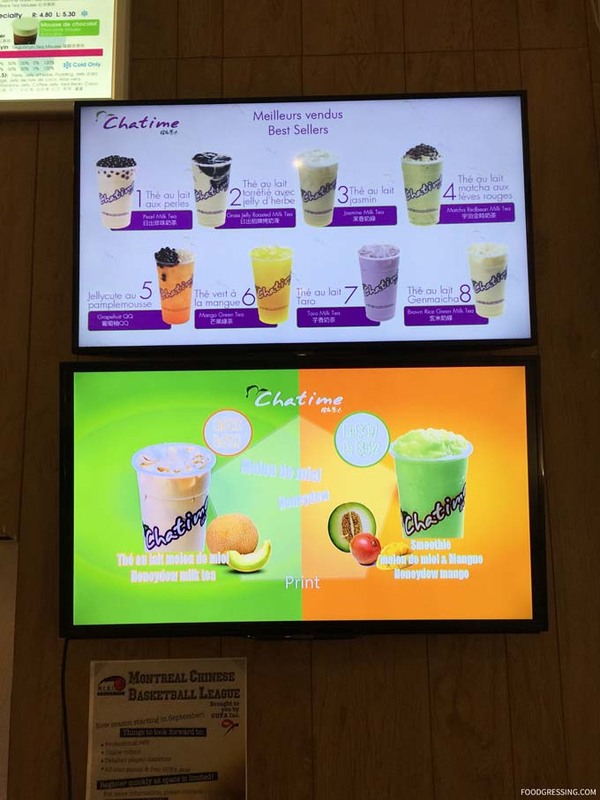 Having tried only Chatime around Vancouver, I was interested to see the menu en français. 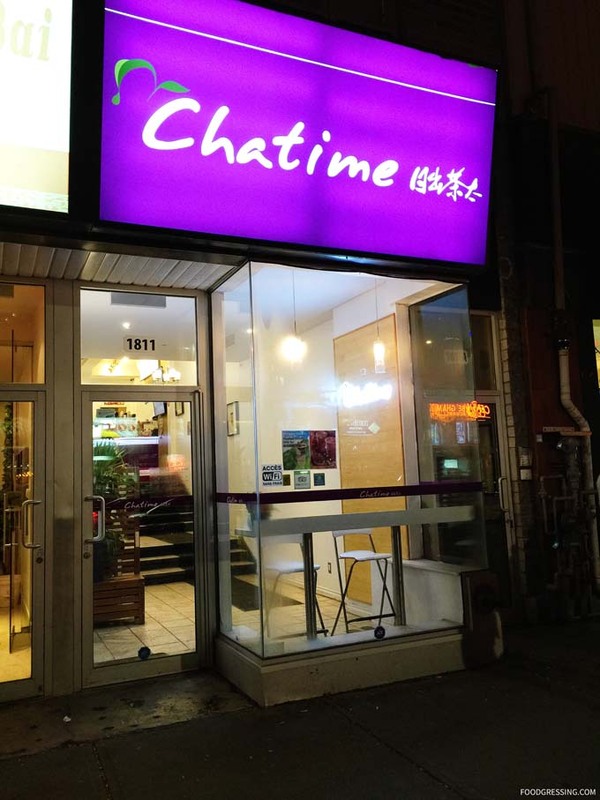 This particular Chatime Montreal location was multi-leveled, long and narrow. You had to walk up two short levels before you get to the top where the ordering counter is. Definitely not an accessible-friendly location. 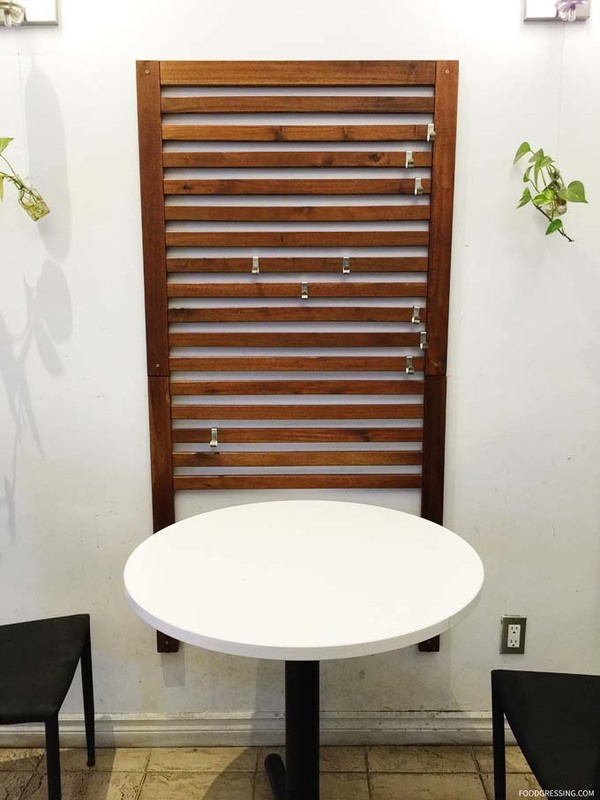 There was a small counter by the window in the front and various dining tables around. 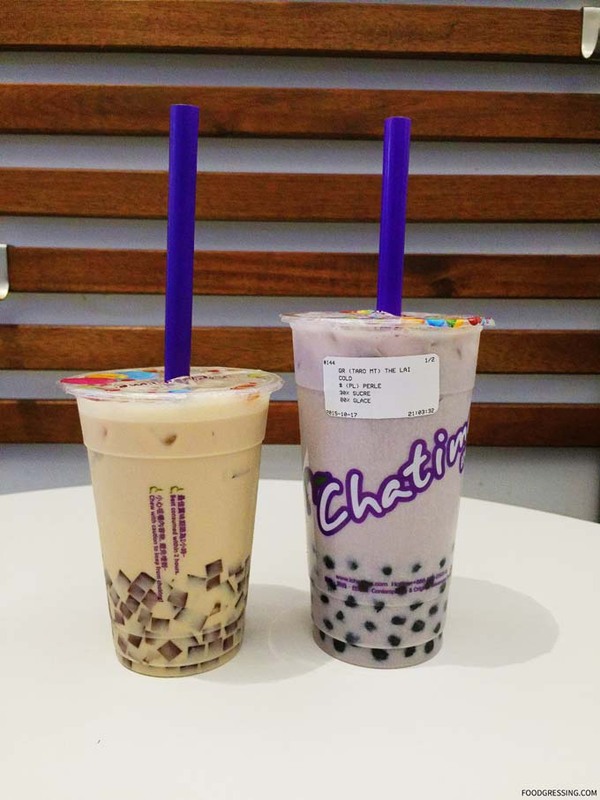 Chatime has a wide selection of drinks organized by category including Oriental Pop tea, Chatime Jelly, Milk Tea, Fruit Tea, Mousse and more. Drinks typically range between $4-$5. You can decide on the ice level (regular, less, no ice) and sugar level (extra, regular, less, half, slight or not sugar). 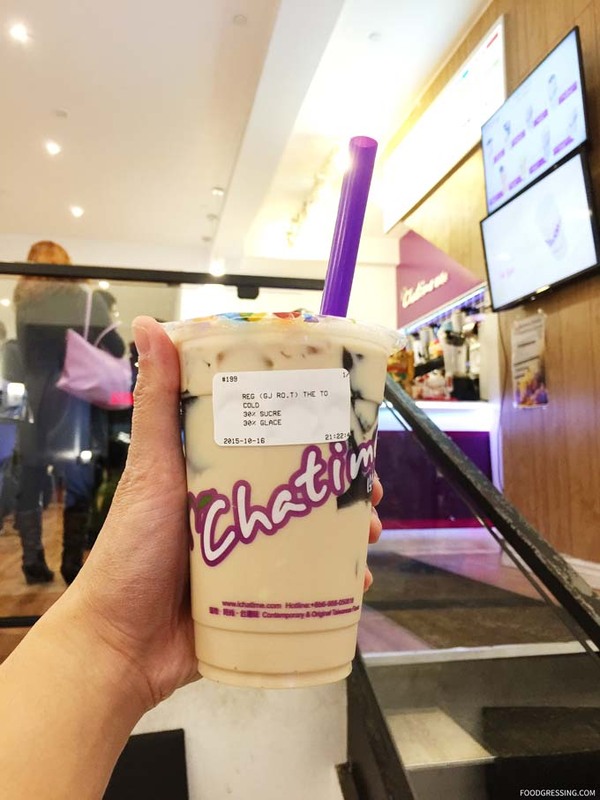 They also have 8 toppings available: pearl, grass jelly, coconut jelly, red bean, coffee jelly, aloe vera, and rainbow jelly, pudding. In general, the drinks had a nice and strong tea flavour. It was our first time having coffee jelly and I quite liked how tasty they were. The pearls were on point – soft and smooth on the outside but gradually more chewy towards the centre. I would have to say that the hazelnut and coffee jelly combo was my favourite of the three. Nice nutty and earthy flavour combination. 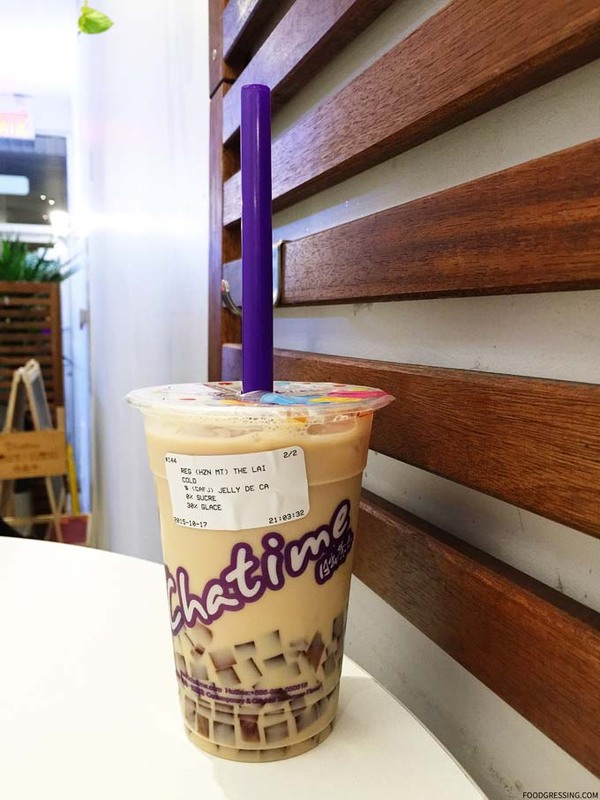 The grass jelly was soft yet firm and slightly sweetened.